Scotland, the fabled land for every golfer. From Seve Ballesteros to Zach Johnston, all the way back to Gary Player and Jack Nicklaus, each golfing great has their own story to tell of this historic nation. It seems appropriate then, after the recent 150th anniversary of his last Open Championship win, that Old Tom Morris’ homeland celebrate the incredible legacy and ingenuity of the man who is rightly remembered as one of the architects of the modern game. Old Tom was one of the founding fathers of The Open Championship in 1960 and won the competition four times, before going on to create and refine some of the world’s most famous courses. To celebrate the milestone anniversary we have created the Morris Package, designed to celebrate the legacy of Old Tom and give you a once in a lifetime experience across a selection of golf’s most famous sites. Follow in the footsteps of one of the game’s most legendary figures, from Prestwick Golf Club to Muirfield, the course home to some of golf’s greatest ever battles, and most recently, the site of Phil Mickelson’s first Claret Jug in 2013. From there, we will take you to the birthplace of Golf itself, St Andrews, where you will stay at the renowned Old Course Hotel and enter a ballot to play the Old Course, before visiting Carnoustie, the course set to host the 2018 Open Championship. The history of Scottish golf and Old Tom himself does not stop on the course though, and an essential part of the tour is experiencing the hotels and guest houses which are as impressive today as they were 100 years ago. The Old Course Hotel is a must for every golf enthusiast and the Inverlochy Castle Hotel, of which Queen Victoria herself wrote ‘I never saw a lovelier or more romantic spot’, is one of the most beautiful sites in the whole world. As with much of Scotland, modernity and history combine to create the truly unique mystique which surrounds the land, and this is personified in boutique hotels such the Boath House, which sits on one of the country’s most breathtaking coastlines, boasting its very own Michelin Star restaurant. This exclusive once in a lifetime trip can also be taken as a two-week break which includes an extended stay in the historic home of golf, St Andrews, as well as stays in the great cities of Glasgow and Edinburgh, with one of the finest whisky tasting experiences you will ever encounter. You will arrive in Glasgow where you will be met with a member of the Lang Atholl team who will present your group with the keys to your luxury 4×4. Next you will drive west into Ayrshire to the town of Troon where you will check in at Lochgreen House. Here you will play one of the most famous Open venues, Prestwick Golf Club. A course which held the first ever championship in 1860 and held the competition a further 24 times with the last being in 1925. Day two will see you drive east from Ayrshire through the Scottish capital of Edinburgh to arrive at the fantastic Greywalls Hotel & Chez Roux located close to your next famous golfing track, Muirfield Golf Club. With the golf club first coming together in 1744 Muirfield is one of the oldest golf clubs in the history of the sport and the club is credited with writing the first set of rules seen for competition golf. Originally based in Leith the club moved to its current location in 1891 and through its many years of colourful history has hosted some of the most memorable Open Championships to date. Day three will see you travel north past Scotland’s capital city, Edinburgh, over the Firth of Forth to St Andrews where you will spend the evening in the Old Course Hotel. St Andrews was Old Tom Morris’ home for the majority of his life and it is also the town where he was laid to rest. His grave still lies in the town cemetery to this day next to that of his son, Young Tom Morris, who himself was an Open Champion despite passing away at the age of 24. Morris’s legendary touch is seen throughout St Andrews but here you will have the opportunity to play one of two courses which he arguably had most influence on in the town; The Jubilee Course and of course The Old Course itself. Due to the conditions of play on the Old Course times cannot be guaranteed and you will enter the ballot for a chance to play. If unsuccessful then you will play your round at the home of golf on the spectacular Jubilee Course. On day four you will travel north towards the city of Dundee, near which you will find Carnoustie another of Scotland’s spectacular Open Venues which last held the championships in 2007 where there was the dramatic end between Padraig Harrington and Sergio Garcia with the Irishman claiming his first major title. This fantastic old course has witnessed some of the most spectacular sights in Open history and it is your venue for today’s round. You will then travel north once more to the coastal oil rich city of Aberdeen where you will spend the evening at the luxurious Marcliffe Hotel and Spa. The Granite City as it is known by nationals of the country has a soft ambience about it and is one of the lesser visited areas by those exploring the country. Day five sees you travel north once more to Cruden Bay near Peterhead. Cruden Bay was another of Old Tom Morris’s architectural masterpieces with the view from the 9th hole being voted the best view in Scottish golf. This course is one of the more hidden gems that the country has to offer but it definitely does not take anything away from this spectacular classic links course. The evening of your 5th day will see you spend the night in the spectacular BoathHouse in Nairn which boasts its own, in house, Michelin star restaurant. You will awake on day six and make the short journey to Nairn Golf Club which has had an array of famous architects work on is ancient grounds not only Old Tom who is credited for extending the course to make it the 18 hole track it is today. With stunning views over the Moray Firth and a notoriously difficult wind nearly always present, this links course is a test for all golfers. Following your round you will make the short journey west to Inverness, the capital of the Highlands. Where you will stay at the Rocpool Reserve Hotel: a wonderful boutique hotel with its own modern finish. On day seven you will travel north once more to the world renowned Royal Dornoch Golf Course. Royal Dornoch is one of the lesser known golf courses in Scotland however it is ranked as the 3rd best course in Europe (behind St Andrews Old Course & Royal County Down in Northern Ireland) and #8 in the world. Your final evening will be spent in Inverlochy Castle Hotel a property which is nestled in the foothills of Ben Nevis. Inverlochy was built in 1863 by the first Lord Abinger, near the site of the original 13th century fortress. During a trip to Balmoral in 1873, Queen Victoria spent a week at Inverlochy sketching and painting where she wrote in her diaries ‘I never saw a lovelier or more romantic spot’. From Inverlochy Castle you will travel to your preferred departure point. You may do this with the car you have been driving for the tour or there is the option of being chauffeur driven to this destination. 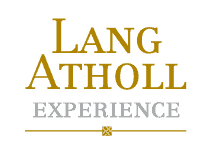 You will be met by a member of the Lang Atholl team to ensure that everything has ran smoothly and to collect your vehicle. Sadly, this is where we must say our goodbyes however you will leave with some Lang Atholl gifts as a thank you for choosing ourselves to manage your ultimate golf experience. – A night at the Balmoral Hotel and an evening in Edinburgh after Muirfield Links. – A night in Kinloch House before your round on Carnoustie Links. – A night at Crinan Hotel with the addition of a round on Machrihanish a private boat charter/ helicopter charter to take you from Machrihanish back to the Scottish West Coast. – A final night in One Devonshire Gardens in Glasgow’s West End. With a whisky tasting experience to end your experience.